The Causes and Symptoms of (Reflex Sympathetic Disorder)/ CRPS? 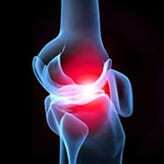 - Piedmont Physical Medicine & Rehabilitation, P.A. The Causes and Symptoms of (Reflex Sympathetic Disorder)/ CRPS? 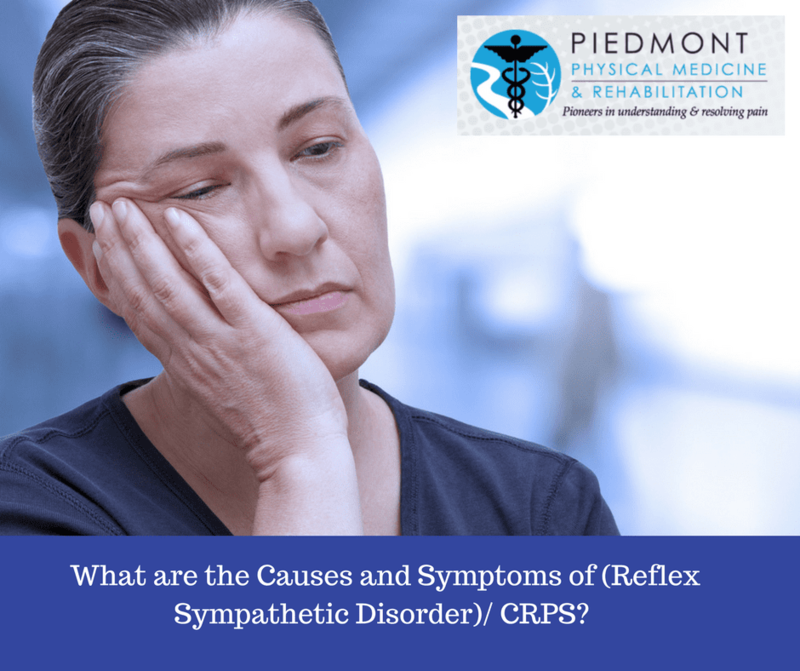 RSD (Reflex Sympathetic Disorder), an older term used to describe what is commonly referred to today as Complex Regional Pain Syndrome (CRPS), is believed to be a disorder of the sympathetic nervous system. The newer CRPS verbiage was intended to decrease confusion about the different presentations of RSD that exist, but it really hasn’t achieved that goal. Over the decades many other attempts have been made to better define RSD, but they too have fallen by the wayside. You may have heard RSD also referred to as Type I CRPS, which can be triggered by a tissue injury with no underlying original nerve damage, while Type II CRPS occurs after an impact and leads to nerve injury. Type II used to be referred to as “causalgia,” and was initially diagnosed over 100 years ago in Civil War veterans who continued to experience severe pain even after their injuries completely healed. RSD is unique as when the sympathetic nervous system becomes dystrophic (or does not function properly) it can adversely affects the skin, nerves, blood vessels, muscles and bones at the same time. Both RSD and CRPS describe the most chronic forms of sympathetic pain, and also a wide array of cold or weather sensitive pain syndromes. While the exact cause of RSD/CRPS is unknown, the main culprit is believed to be a malfunctioning sympathetic nervous system. What exactly is the sympathetic nervous system? It’s a complex network of nerves that connects to all of your body’s structures, including your tendons, muscles, ligaments, disks and internal organs. It also regulates certain involuntary functions of the body, including constricting blood vessels, increasing heart rate and blood pressure. RSD/CRPS is usually set off due to an injury that the sympathetic nerves keep monitoring as if the event just happened, or is due to severe irritation and abnormal excitation of nerve itself. When RSD/CRPS is present the sympathetic nerves just don’t turn off; rather they diesel like a car engine that keeps running even when there is no key. That leads to abnormal impulses along nerves that affect skin and blood vessels. As a result, the severe, overly sensitive, and unremitting pain that is associated with RSD/CRPS occurs. The most common conditions that can trigger RSD/CRPS include sprains, fractures, surgery, trauma, infection, and damage to blood vessels or nerves. Less common causes include stroke and even brain injury. If you’ve hurt yourself and experience intense burning pain that’s out of proportion to the severity of your injury, and it continues long after the injury has healed, you may have RSD/CRPS. If there is also a weather sensitive component you can almost bet on it. RSD/CRPS typically affects the arms, legs, hands or feet. There can be changes in skin appearance, color and sweating, thinning of bone, tissue swelling, and acute sensitivity to touch. For many sufferers of RSD/CRPS, the painful part often feels cold, and weather changes (especially a falling barometer) increases the pain. 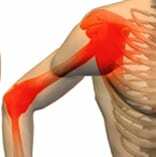 In more extreme cases, there may be loss of joint flexibility, range of motion, and even muscle or bone loss. Unfortunately, there are no simple laboratory tests to diagnose RSD/CRPS. And similar to other complex pain disorders, it is often missed or misdiagnosed. For example, those who suffer with RSD/CRPS are sometimes told by their doctors that they have fibromyalgia because both disorders have weather sensitive symptoms. Other times people are just told their pain is all in their head. For that reason, it’s important to find a doctor who is skilled in recognizing and diagnosing RSD/CRPS. At Piedmont Physical Medicine & Rehabilitation, we’re highly experienced with identifying and treating complex pain problems. If you suspect you may have RSD/CRPS, early diagnosis is vital to help prevent progression of the syndrome. We’re able to correctly recognize dystrophy by its symptoms, and also employ specialized Sympathetic Skin Response tests (such as Cold Stress Medical Thermography) that evaluate changes in skin temperature. Because we have a high index of suspicion for the disorder (it is always top of mind) we know how and when to test for these changes. We also do not hesitate to look at other studies that might validate things such as decreased blood flow and bone loss, both of which can often occur with RSD/ CRPS. Rather than just treating the symptoms, we work tirelessly to find and treat the underlying problem that triggered the dystrophy. There may be a torn ligament that needs to be fixed, an injury with a hidden infection or impaired blood flow. Once we’ve discovered exactly what’s generating the dystrophy, we find the best treatment plan. While there is no cure for RSD/CRPS at Piedmont Physical Medicine & Rehabilitation we’re pleased that over time the vast majority of our patients show improvements in both pain relief and overall quality of life. We invite you to call our office for a consultation. We’ll explain in greater detail our diagnosis and treatment approach for RSD/CRPS, and answer any questions you may have. Call our friendly staff at (864) 235-1834 to learn more.